Back to the Future, Part 10: Gilead--Are We There Yet? In the ongoing effort to "make America great again," here we are with more dismal horrific terrifying what-else-can-we-expect? news for women. 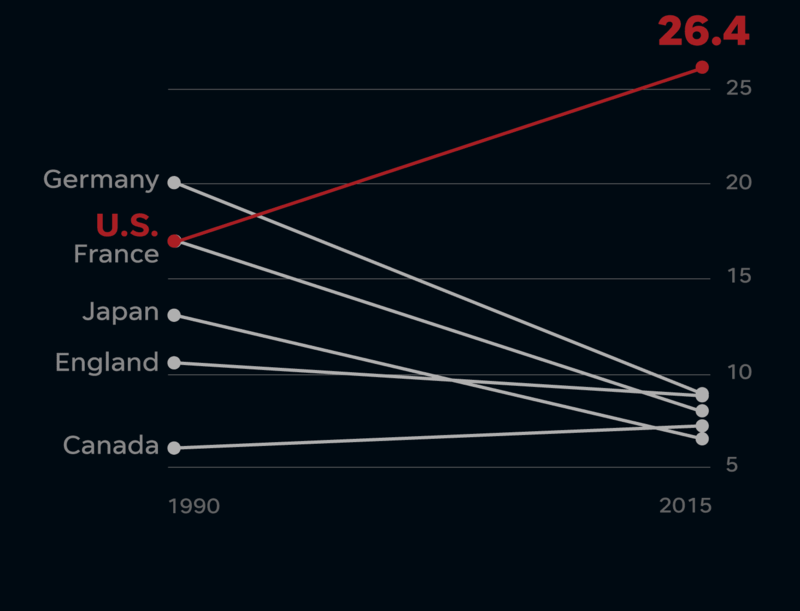 "The U.S. has the highest maternal death rate among the world's developed nations." So, yay? The numbers are shocking. In the United States, the rate of maternal mortality is 26.4 deaths per 100,000. Compare that to the rates in Germany, 9 per 100,000; the UK, 8.8 per 100,000; France, 7.8 per 100,000; Canada, 7.3 per 100,000; and Japan, 6.4 per 100,000. And in those countries, the maternal death rate has been falling since 1990. In the US, by contrast, the rate has been rising. Noticeably. Looking beyond the "most developed" nations, as reported in The Hill, "The United States is home to some of the most advanced obstetric and emergency care found on earth, yet we still rank only 47th for maternal mortality rate globally. . . . "
While the world has made tremendous strides to improve health outcomes for women and mothers, resulting in plummeting global maternal mortality rates, the United States has actually seen an increase in maternal deaths between 2000 and 2014. 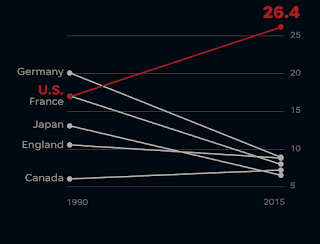 We are not in good company—the U.S. is one of only eight nations, and the only industrial nation, that have seen rising maternal mortality rates in recent years [emphasis added]. You can check out data for yourself by looking at UNICEF maternal mortality statistics (updated January 2018).